This stylish white strap watch from Versus Versace demands attention. 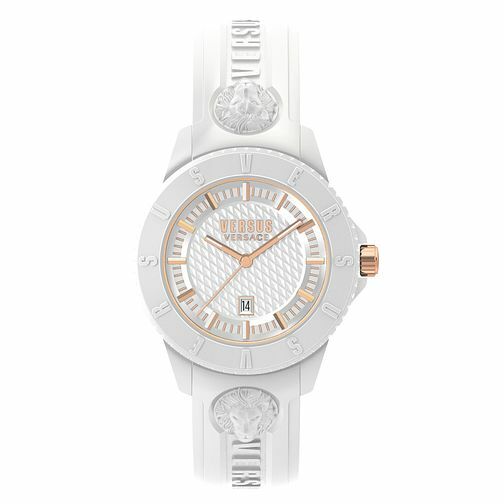 Its white and rose gold tone colour scheme sports an athletic charm and the commanding 3D iconic lion motif is visible above and below the watch case. A unisex timepiece, the unique casing made from polycarbonate houses a quartz movement with an original succession of indices and features the date aperture.